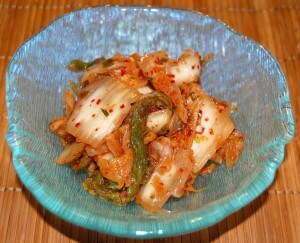 UPDATE: For our recipe for kimchi, see “Homemade Kimchi” (June 26, 2011). 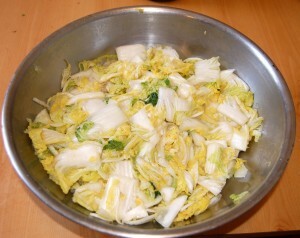 Early kimchi was made of cabbage and beef stock only. 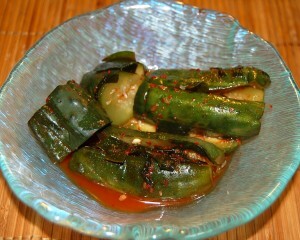 Red chili, a New World vegetable not found in Korea before European contact with the Americas, was added to kimchi recipes some time after 1500. 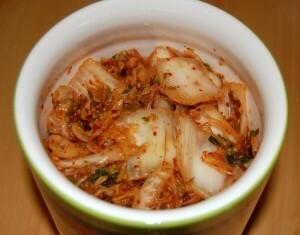 Red chili pepper flakes are now used as the main ingredient for spice and source of heat for many varieties of kimchi. 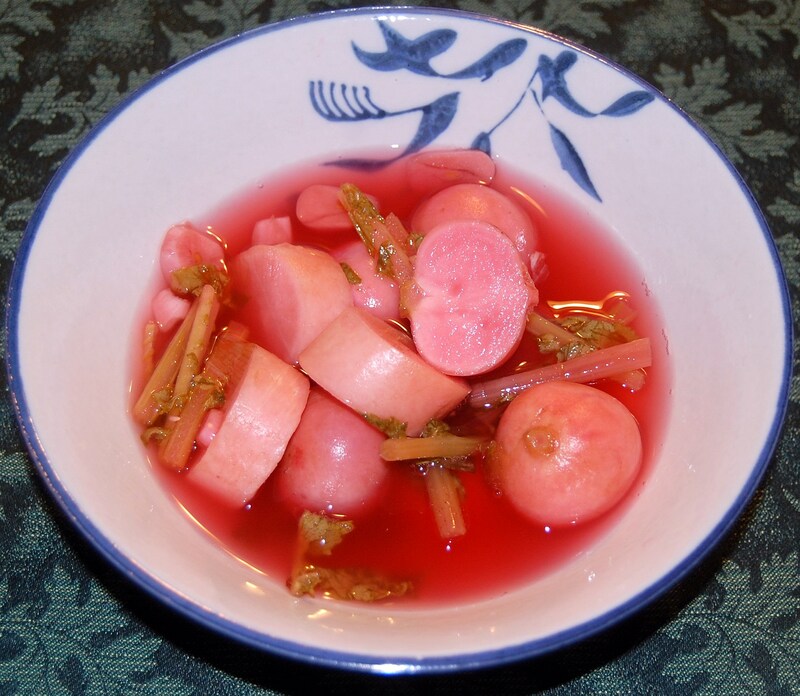 In the twelfth century other spices, creating flavors such as sweet and sour, and colors, such as white and orange, were added. 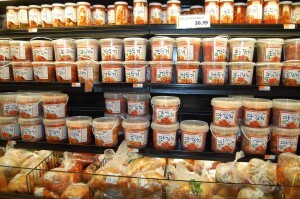 There are many varieties of kimchi. The Kimchi Field Museum in Seoul has documented 187 varieties of kimchi, and there are an almost infinite number of variations upon the basic varieties. 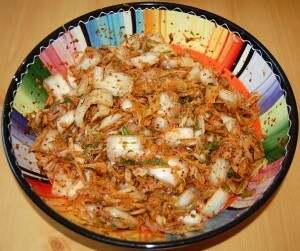 Kimchi is a natural probiotic. 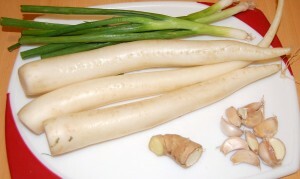 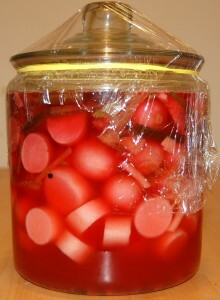 At early stages in its pickling, lactic acid bacterial species such as Leuconostoc mesenteroides and Lactobacillus plantarum dominate. As kimchi ages, more species appear and the bacterial environment diversifies. Kimchi is usually served as a side dish when fresh. 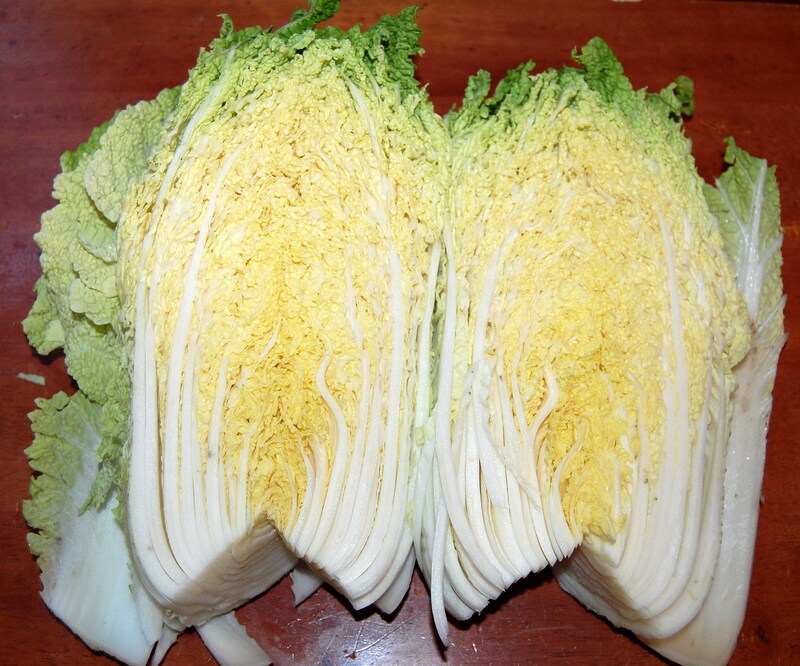 Here are a few photos from our local Asian supermarket. 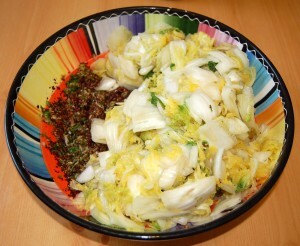 Cabbage kimchi is made by soaking the cabbage in salt, squeezing the water out, and layering the salted cabbage with a marinade. 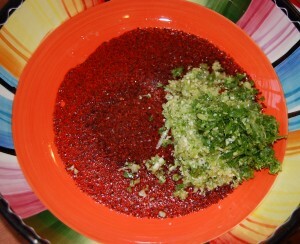 Marinades may contain shredded radish, chili powder (which gives the red color), garlic, garlic sprouts, and green onion. 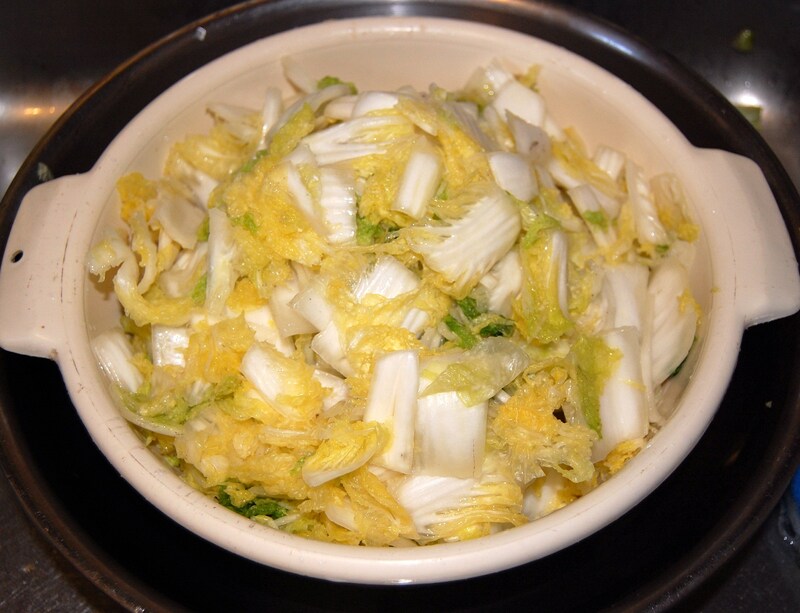 Often the marinade will include oyster or anchovy as a flavor enhancer: you can see a sign for oyster cabbage kimchi in the above picture. These are better quality kimchi; poor quality kimchi may use MSG. 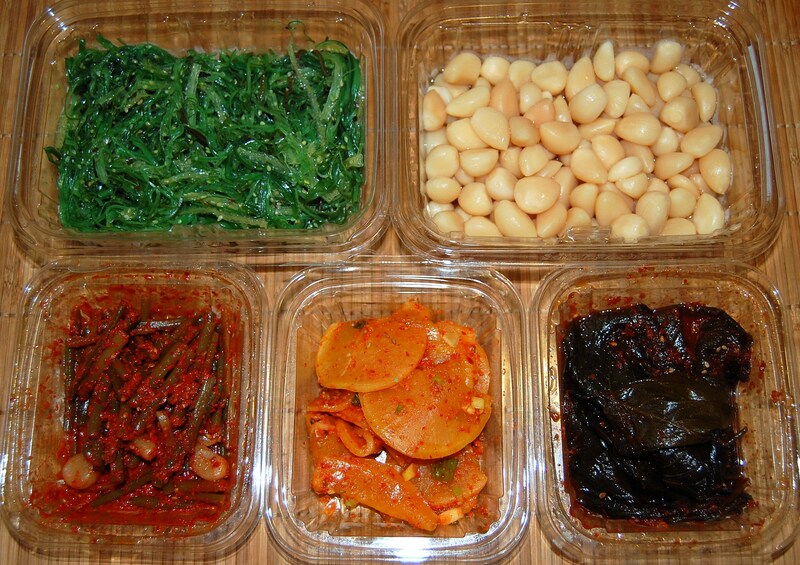 Along the bottom and upper left are pickled vegetables, on the upper right are fermented seafood. 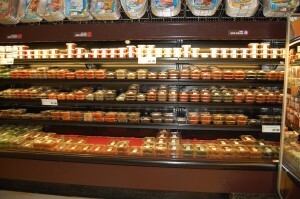 In this picture are probably about 80 different varieties of kimchi. 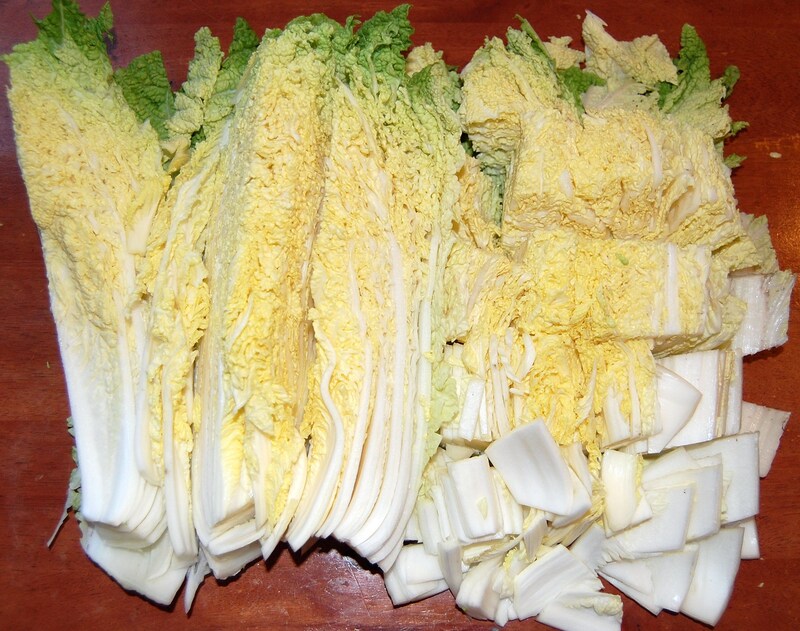 On the left is Napa cabbage kimchi, which is for Koreans what salad is to Americans. It includes Korean radish, pepper powder, onion, green onion, apple, pear, sugar, salt, ginger, garlic, salted shrimp, salted anchovy, and oyster sauce. 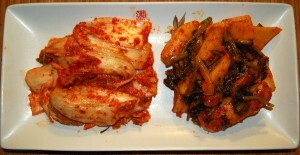 On the right is a spicy radish kimchi. This is another extremely popular flavor, cucumber kimchi. It’s seasoned with chives, Korean radish, hot red pepper powder, onion, carrot, sugar, salt, ginger, garlic, salted anchovy, and sweet rice flour. 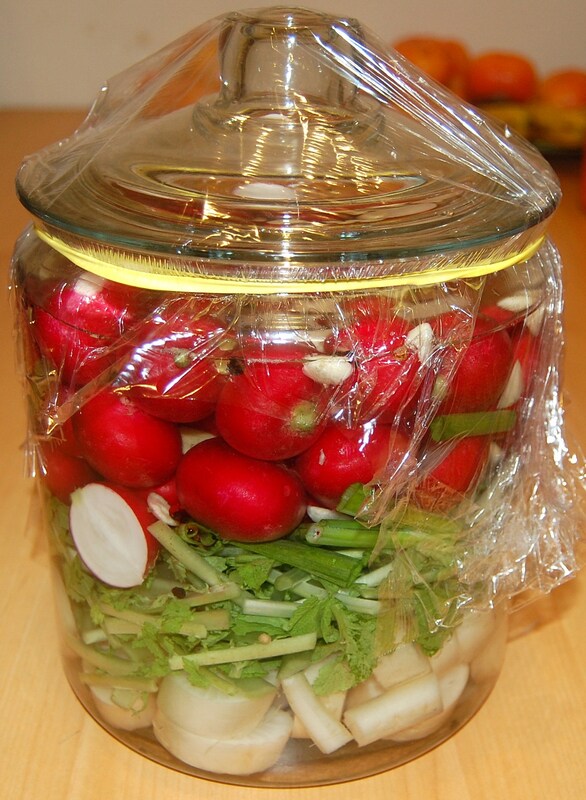 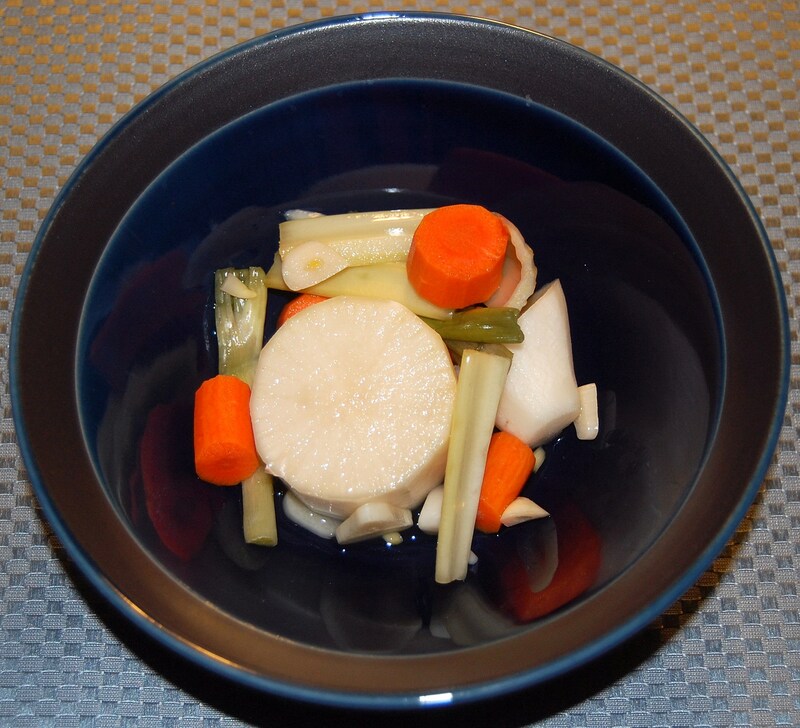 Pickled white radish. 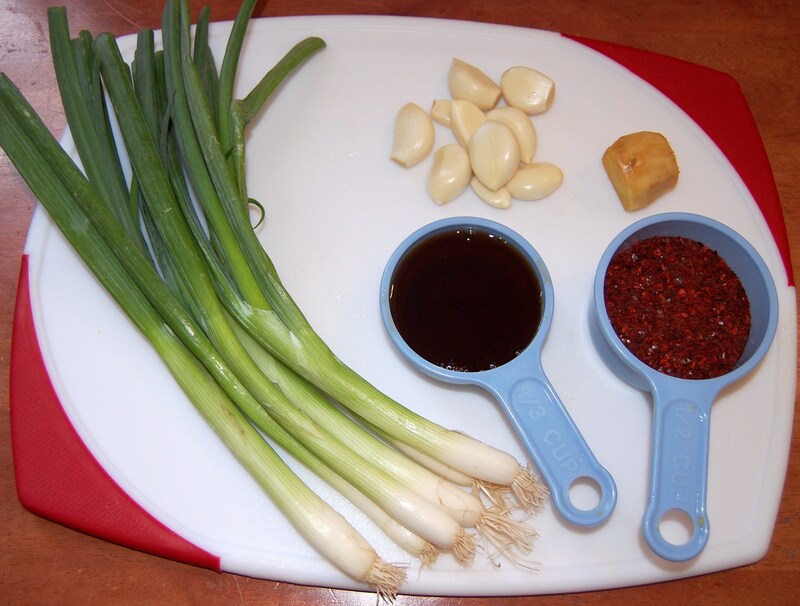 One of Paul’s favorites, with a very mild taste; seasoned with cayenne, fish sauce, and salt. 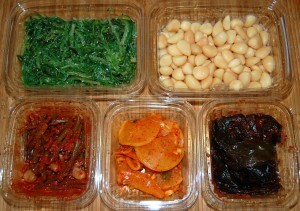 Clockwise from upper left: pickled seaweed (seasoned with vinegar, wine, sugar, cayenne, scallion, oil, green pepper, garlic, and ginger); pickled garlic cloves (seasoned with vinegar, salt, sesame, panicum, black bean, and miso); seasoned sesame leaves (with cayenne and garlic); pickled yellow radish; and garlic stem kimchi (flavored with garlic, sesame, and pepper paste). This last picture illustrates how we often eat vegetables with dinner. 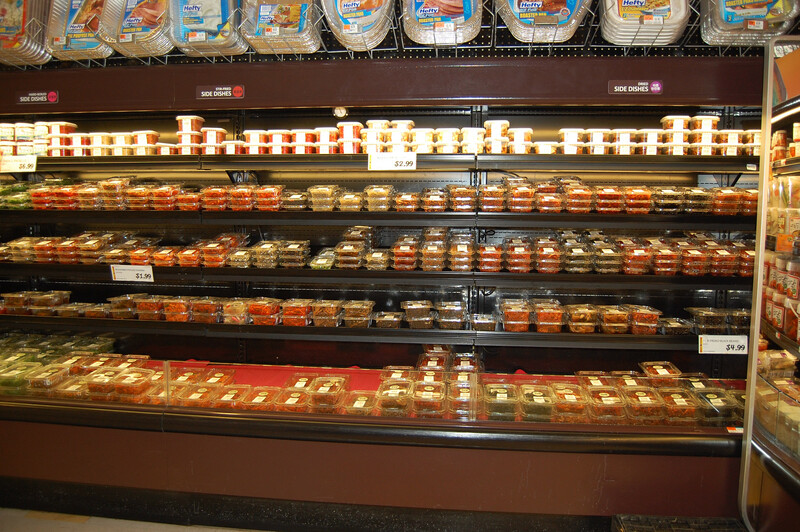 We’ll cook an entrée and starch, but serve the vegetables family-style in their original plastic containers; everyone can serve themselves. 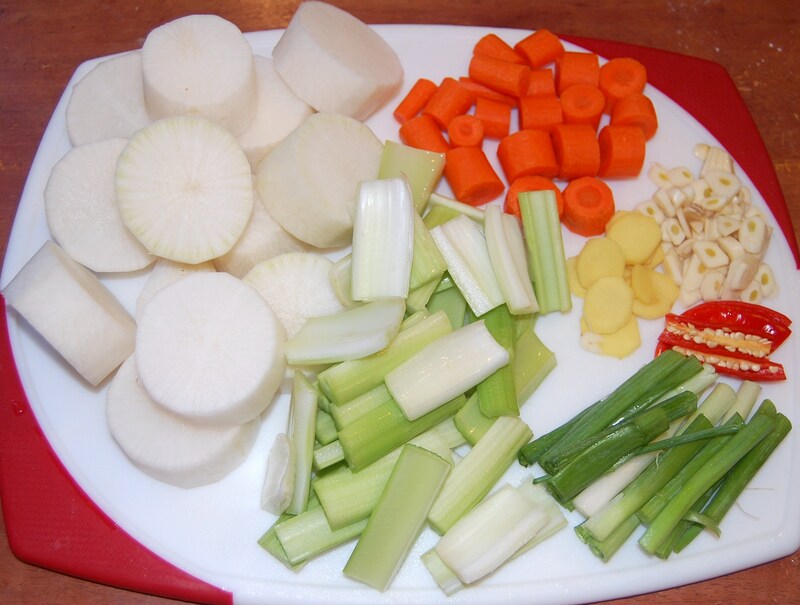 It makes for a nice buffet of vegetables with very little labor. 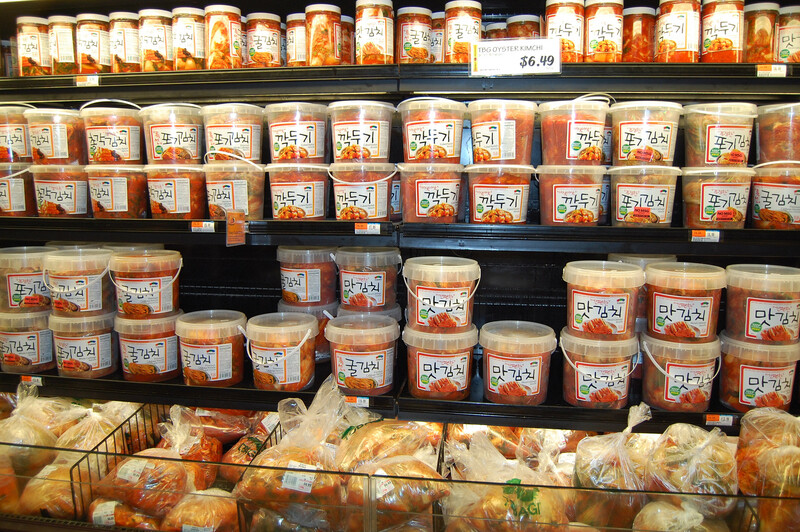 As kimchi gets older, it becomes sour as acidic fermentation products build up, and the mix of bacterial species tends to change to a less probiotic mix. 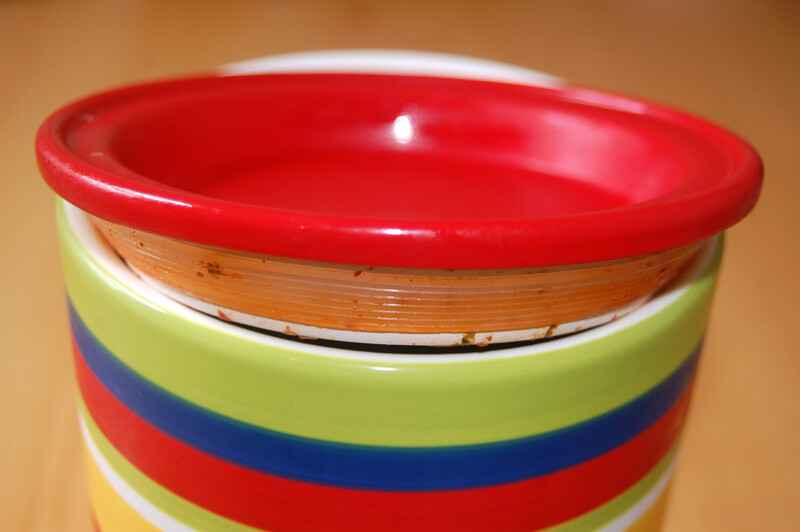 Older kimchi will therefore be put in soups and stews and boiled to remove bacteria and dilute the sour taste. It’s a good idea to find some flavors of kimchi, or other fermented vegetables like pickles or sauerkraut, that you like. 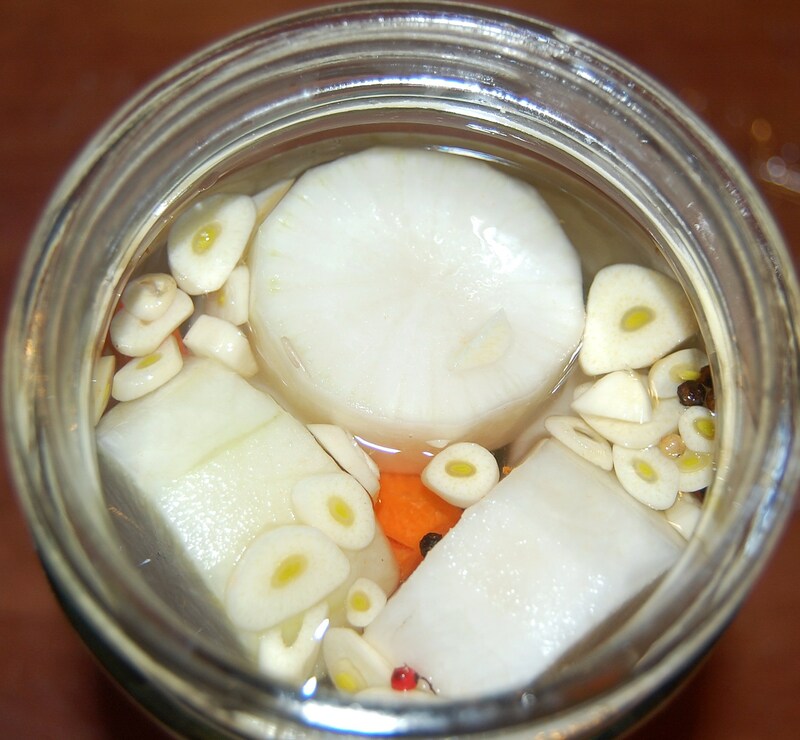 It’s an inexpensive and nourishing way to obtain probiotic bacteria; and a convenient and easy way to eat vegetables! 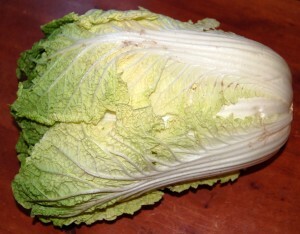 Cho J et al. 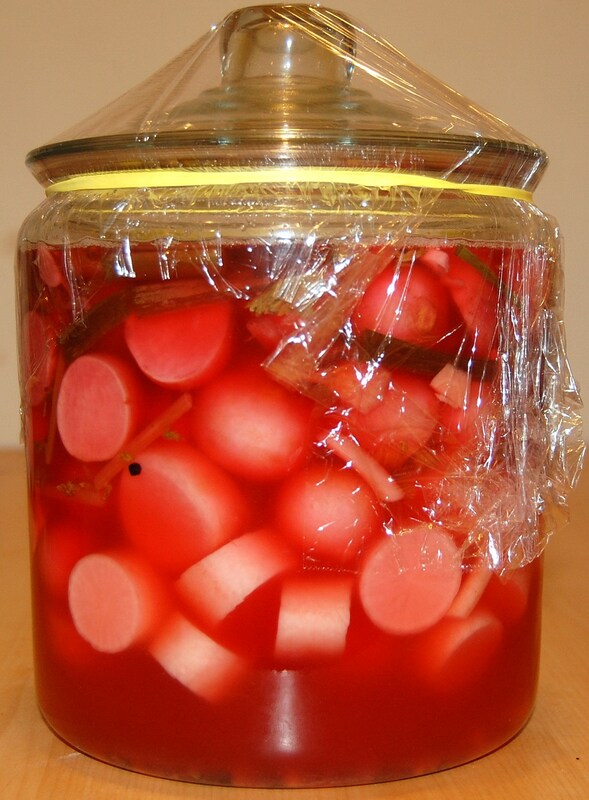 Microbial population dynamics of kimchi, a fermented cabbage product. 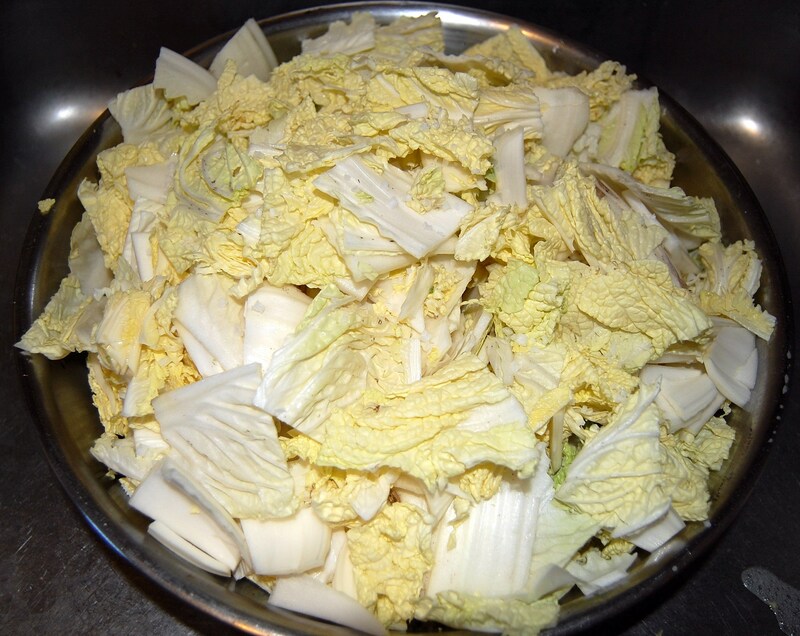 FEMS Microbiol Lett. 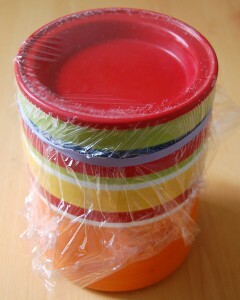 2006 Apr;257(2):262-7. http://pmid.us/16553862. 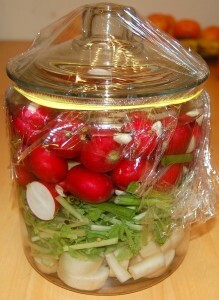 Won TJ et al. Modulation of Th1/Th2 Balance by Lactobacillus Strains Isolated from Kimchi via Stimulation of Macrophage Cell Line J774A.1 In Vitro. 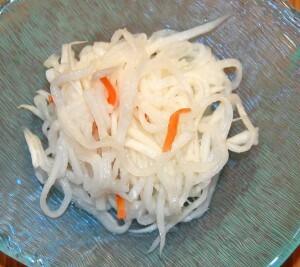 J Food Sci. 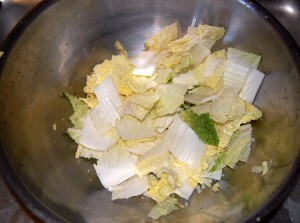 2011 Mar;76(2):H55-H61. 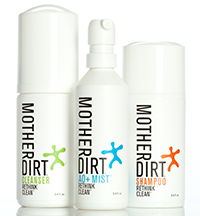 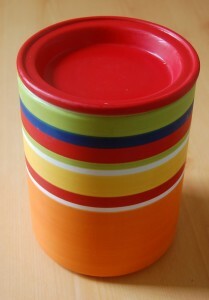 http://pmid.us/21535768. 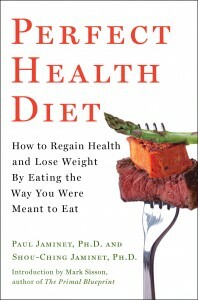 Won TJ et al. Oral administration of Lactobacillus strains from Kimchi inhibits atopic dermatitis in NC?/?Nga mice. 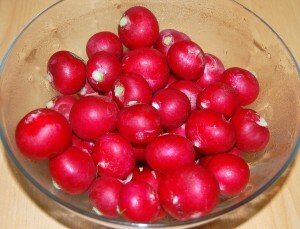 J Appl Microbiol. 2011 May;110(5):1195-202. http://pmid.us/21338447.